I wanted to dedicate this post to my Mother’s passing on March 8, 2016 at 3PM. I hoped I would find the right words to convey everything in my heart in a lyrical way, in a way that would eulogize her memory and everything she and our relationship meant to me. Our relationship was complex and intense as many Mothers and Daughters can relate to and through good times and hard times, the entire relationship contributed immensely to my growth as a person, and hers. Days before she passed over, she asked me to remember the good times and when I began to prepare this post in my mind, I have found myself beginning with one good memory and traveling to another, and then another, and then another, and before I know it, the day is over, and I’ve cried, I’ve smiled, I’ve laughed, I’ve sobbed again and I still don’t have words for the post. I realized that if I start writing about all of the good times, that I could fill a book, maybe a series of books. There were so many good times! When we fought I falsely thought it might dominate my memories of us, but now I realize there were far more good times, and the good times fill my cup and it DOES run over. She gave me so much, in so many ways. Perhaps when I have somehow come to terms with losing her, I will be able to share more of what an exceptionally unique, smart, creative, funny, generous and phenomenal person she was in my life and to our family. 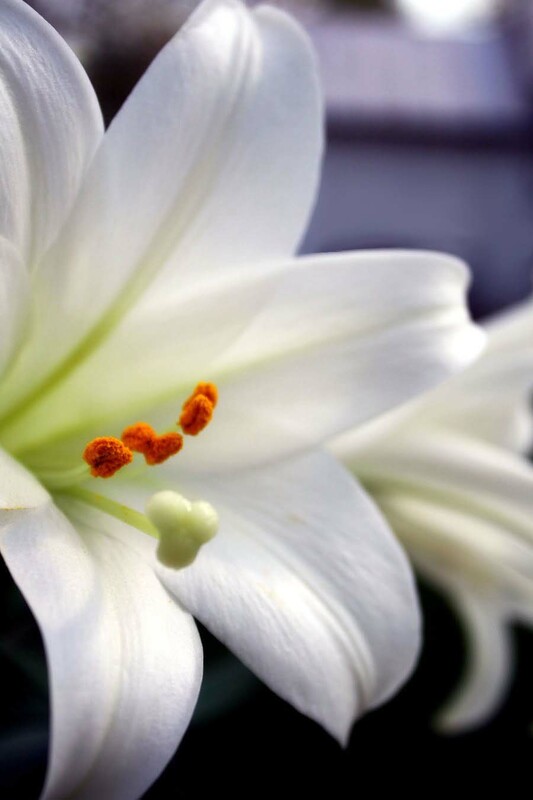 For now I’m going to post this Easter Lily as a visual memory of her passing. She loved to garden, and I’m sure she would appreciate the significance of this flower, especially in regards to her last gift to me. I read that a person is never truly gone if they’re remembered. I know she will be remembered by many and I know that I’ll think of her every day and I will never stop missing her. ? One Response to "I will think of you everyday"